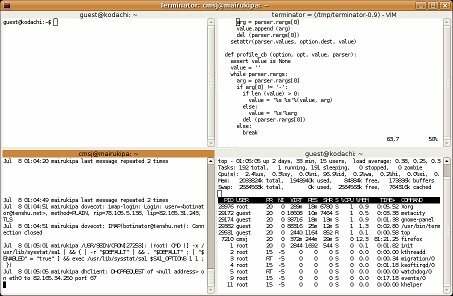 Terminator can be used to open multiple Gnome terminals in a grid as shown above. As it also works in full-screen mode, Terminator is great when you have to, say, administer multiple servers at the same time using SSH. 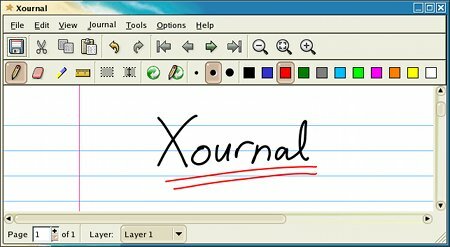 Xournal is, according to its author, a note taking application. But, and this is a wonderful side-effect, it is also a quite formidable PDF annotation tool! Both can be installed on Fedora using yum and I suppose they are also available in the Ubuntu repositories (even though I’ve not checked) and can be installed with apt-get or aptitude.